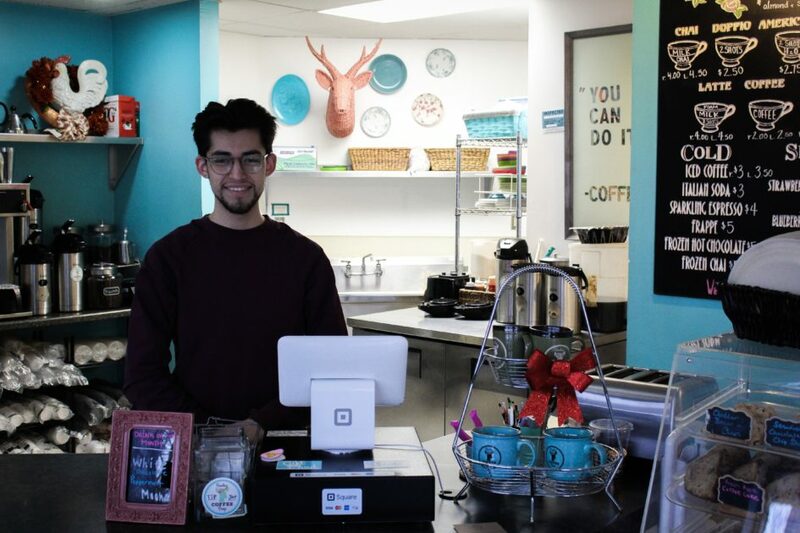 The Columbus Coffee Trail is a new experience that allows central Ohioans to enjoy quality coffee and cafes while supporting the expanding coffee scene and supporting local businesses. There are 18 participating coffee shops on the trail, and at each location you can get a ‘passport’ stamped to get prizes. After four stops, you receive a free Columbus Coffee Trail t-shirt. If you visit all 18 shops, you earn a free travel mug. 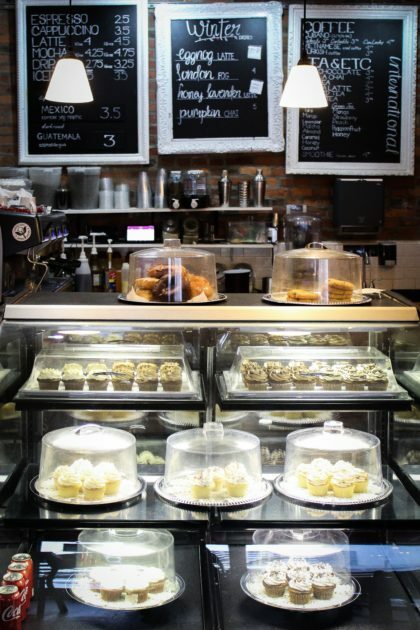 Luckily, Bexley residents don’t have to go far to experience some of these shops; Kittie’s Cakes Cafe and Bexley Coffee Shop are both participating in the experience. 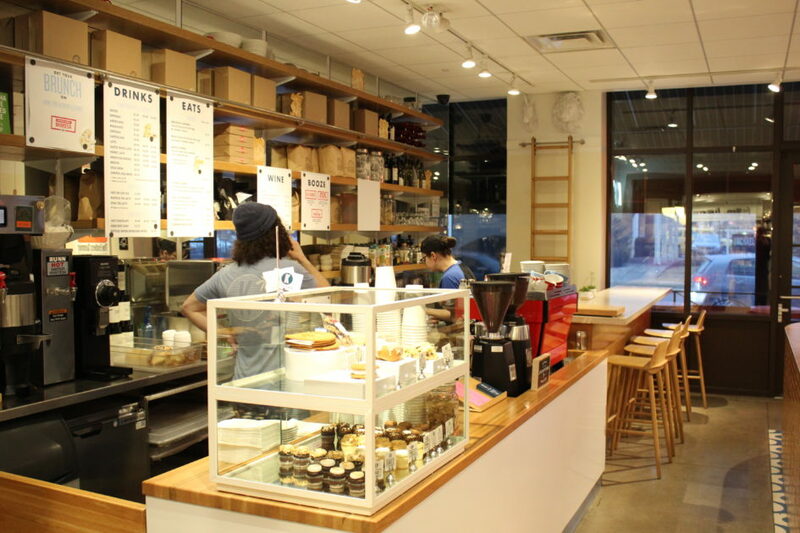 Kittie’s Cafe connects to Gramercy Books, the two businesses blend together. Bexley Coffee House. Pictured is Capital University senior, Sebastian Muñoz. 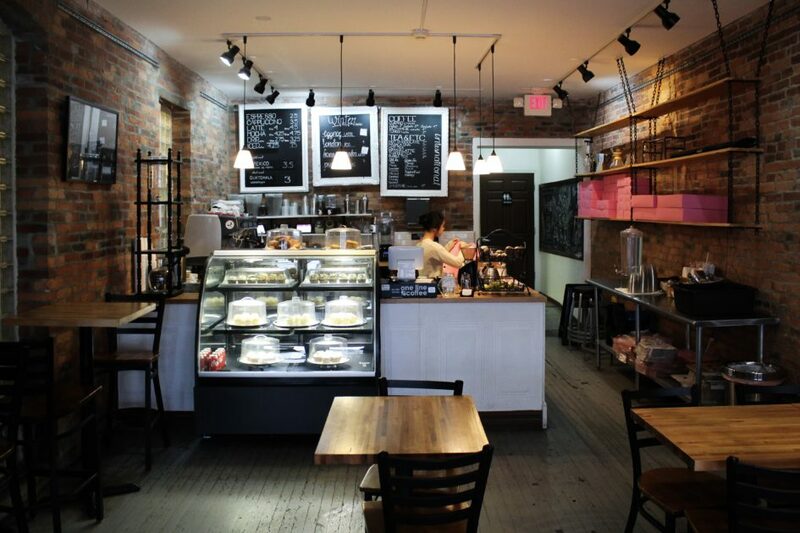 I first visited Kittie’s Cafe, which is connected to Gramercy Books on Main Street. I was immediately aware of how small the shop is, though some might choose to call it cozy. It was very quiet in the shop, which could be nice for studying, but I was scared to talk any louder than a whisper. However, the employees behind the counter were extremely nice and professional, which I appreciated. I ordered a small macchiato, which I have never had before; it wasn’t my cup of coffee (see what I did there? ), but my friend, who got the same thing, said it was pretty good for a standard macchiato. The cups were tiny, but the art inside them was cute and I appreciated the lack of plastic that would have come from lids. The decor and atmosphere at Kittie’s Cafe is extremely aesthetic. 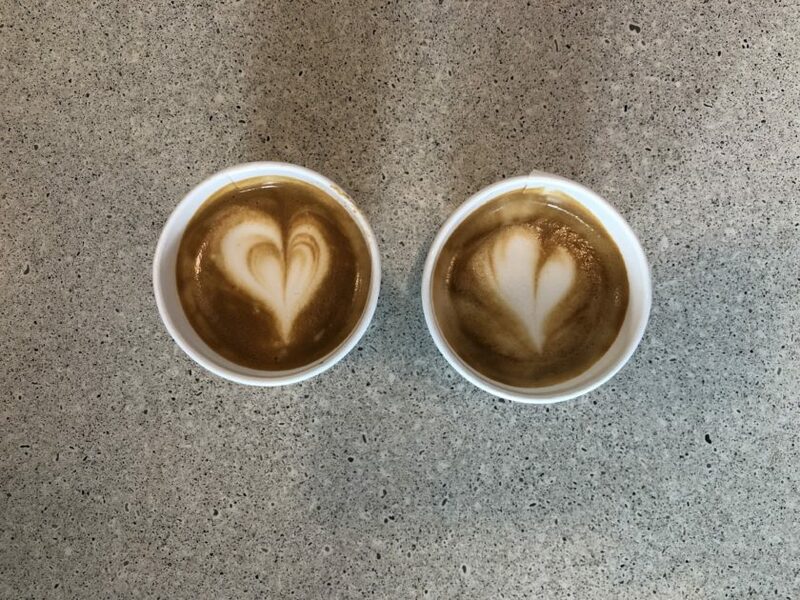 The latte art is always picture-worthy. 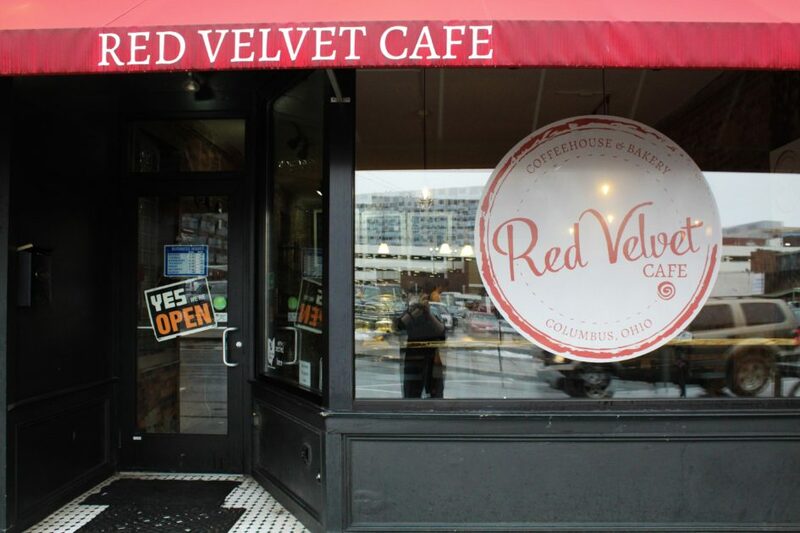 We then visited Red Velvet Cafe, located on South Fourth Street in downtown Columbus. It’s nestled between Dirty Frank’s Hot Dog Palace and Little Palace Restaurant. It isn’t the most convenient location; to avoid having to pay, we parked a block down at a music shop and walked, but it wasn’t far. The atmosphere in this shop was much more relaxed than Kittie’s, and there was much more space as well. There were several tables filled with couples and friends talking and laughing, which made it feel more comfortable. The menu was more extensive than Kittie’s and also included breakfast sandwiches, paninis, and rice bowls. Here we ordered mochas, which is much more up my alley. The man behind the counter was very friendly while taking our orders and was quick to make them. Ten ounces was the perfect amount for me, and it was so good that I drank it all. Red Velvet Cafe is located downtown. There’s plenty of sweets ready to buy. The friendly atmosphere of the cafe is a great feature. We had to take a break from coffee for the day, but we made sure to visit The Bexley Coffee Shop the next day. While it is not as convenient to reach as Kittie’s, it’s only a short five minute drive away from campus, and well worth the drive in my opinion. The outside of the shop is in need of an update, but the inside is lovely. Electric blue walls donned with tasteful art make the place bright and cheery. There is a slight rustic feel from the tables and other decorations, but it only adds to the shop’s charm. 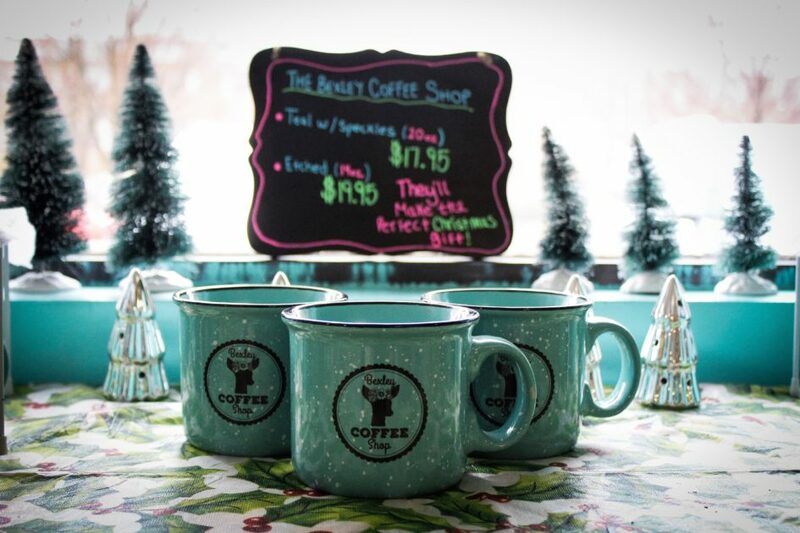 Bexley Coffee House has their signature bright blue walls that give the shop energy. The blue theme extends even to their merchandise. 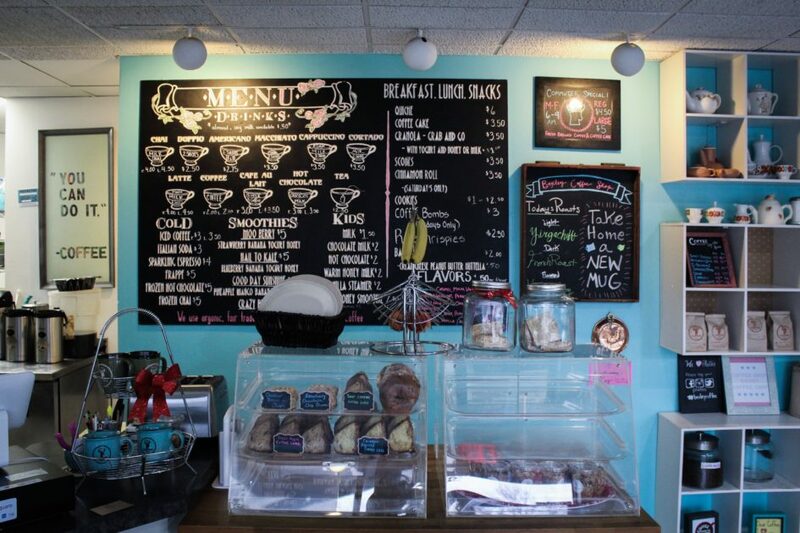 The Bexley Coffee Shop has a wide array of options, which is why it took us at least five minutes to decide what to get. The girl behind the counter was very kind and helpful in giving us time to look and some suggestions. We eventually landed on iced coffees with a shot of caramel, and she had them out to us before we could turn and sit down. I added cream to mine and it was one of the best iced coffees I’ve ever had. 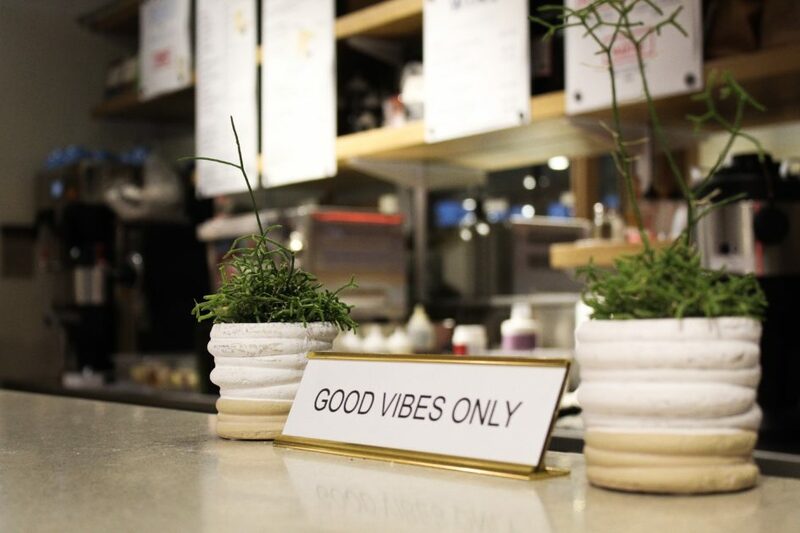 Even if you aren’t an avid coffee drinker, the Columbus Coffee Trail is a fun thing to do on the weekend with friends, and there are a lot of options to choose from. Just don’t do what we did and forget to get a passport until our third shop.